The leading Internet casinos vary in the deposit options available for players to fund their real money accounts, but one thing all reputable casinos have in common is that they accept MasterCard deposits. As one of the world’s leading and most trusted payment brands (along with Visa), MasterCard is widely accepted and highly recommended as a safe deposit method for online punters. We take a look at some of MasterCard’s features and benefits and explain how you can use multiple MasterCard services to play online pokies for real money. Payments are protected by MasterCard’s Zero Liability policy, which ensures that if a person’s card is fraudulently used or stolen, funds will be reimbursed to the rightful owner. Along with the high levels of security in place by online casino vendors, this gives players the peace of mind in knowing that on the unlikely occurrence that your MasterCard details were intercepted, the MasterCard security team would have your back to retrieve your money. MasterCard is one of the most recognised financial brands in the world, making it widely accepted at a majority of the leading online pokies sites. Having access to a MasterCard also allows the option of funding other payment services like Neteller, Skrill or Paysafecard using your MasterCard details. There’s no wait time on MasterCard transactions, so as soon as you’ve entered your card details at the casino cashier you’re ready to start playing real money games without having to wait for any annoying processing times. Some MasterCard credit cards come with reward programs where you earn award points for every dollar spent using your card, which may apply to your online casino deposits. This will depend entirely on the type of credit card you have, so enquire with your bank to know more about your MasterCard rewards program. Most financial institutions impose a daily limit on how much credit can be accessed within a 24-hour period. If you’re looking to make a large deposit, refer to the terms and conditions of your issuing bank to check the daily transaction limits applied to your MasterCard. Some Australian banks don’t allow credit card payments for online gambling, check the terms and conditions with your financial institution to check if MasterCard is an option for you. Making a deposit using a MasterCard is as simple as it gets. Simply grab your card so you have the details ready then log in or sign up at any of our recommended casinos (remember that following our links will reward you with special welcome offers and bonus promotions). Head to the casino’s banking section and click on MasterCard as your chosen deposit option. You’ll be prompted to enter the details on your card including name, card number, expiry date and the CVV (the three digit number on the back of the card near the signature strip). Enter the amount of funds in your local currency that you wish to deposit, click to complete the transaction and you’re all set. MasterCard deposits are available immediately, so you can start playing your favourite pokies for real money straight away. 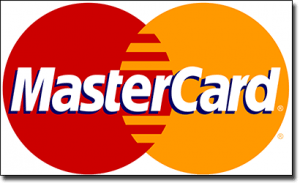 MasterCard credit card – deposit using a pre-approved line of credit, which is money you need to pay back to your issuing bank along with any relevant transaction fees and interest. MasterCard debit card – deposit using your own money from a savings or cheque account, with deposits processed just like you were using a credit card but with funds deducted from your bank balance. 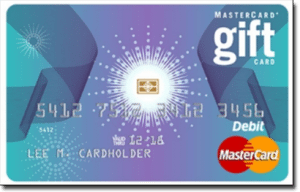 MasterCard gift card – these gift cards work like cash in that they are made for single use only and cannot be reloaded, but are accepted anywhere that MasterCard payments are accepted. The purchaser of the card doesn’t need to provide any documentation or even have a bank account, and the funds are available to be used immediately. MasterCard prepaid card – issued without any credit checks and rarely requiring proof of identity, MasterCard prepaid cards are loaded with cash and accepted anywhere that MasterCard or Cirrus debit payments are welcome. Prepaid cards are multi-use and can be topped up with more cash at any time. One of the great things about playing at a reputable online casino is that you have the extra security of knowing all payments processed are protected by a minimum of 128 Bit SSL (Secure Socket Layer) digital encryption security. These sites each offer hundreds of pokies games from leading game developers like Microgaming, NetEnt, BetSoft, Play’n Go, PlayTech, NYX Gaming and Thunderkick, which can be played for free in demo mode before handing over your MasterCard details. Keen to give a MasterCard deposit a try? Click our links to head to one of the safest casinos on the Web and see why this trusted payment service is chosen by millions of players around the world. We recommend Slots Million for instant-play access to over 1800 of the best online pokies available from leading software developers.